Thompson, Aileen J. (1999). 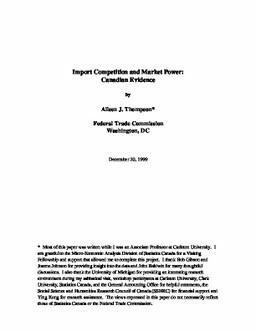 Import Competition and Market Power: Canadian Evidence + tables (No. CEP 99-14). Carleton Economic Papers (CEP). Department of Economics.